As a follow-up to our previous article on how Pilates can help your posture we are going to look at the different types of posture against the ideal alignment. 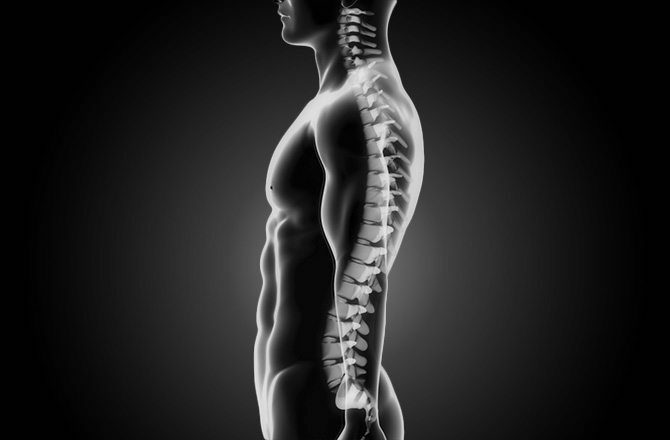 In this article, we are going to look at the posture type, Kyphosis Lordosis. 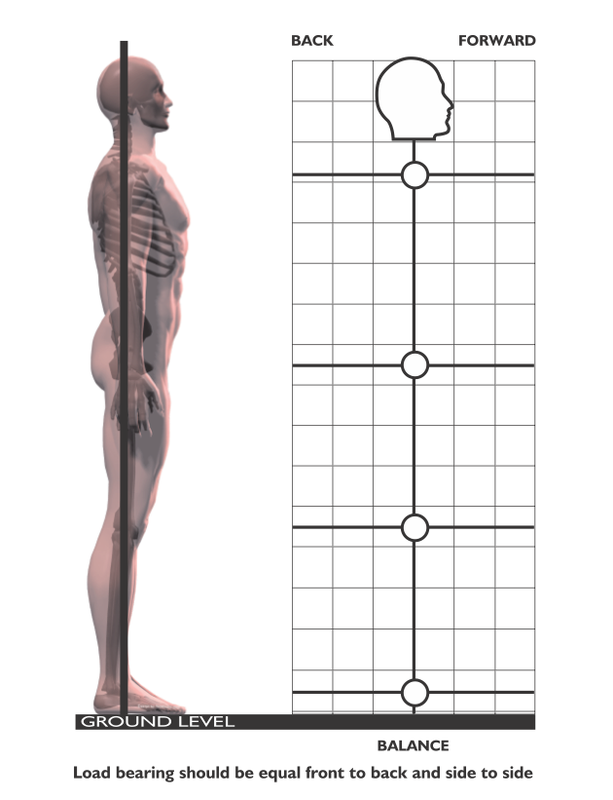 The picture below shows the ideal alignment and where the plumb line drops through points on the body. As you can see there is a nice straight and tall spine with the feet, knees, hips, ribs, shoulders and head in one long line. The picture below displays postures B, C and D that show deviations from the ideal alignment in posture A. Thanks to everyday habits, genetics, over and under training our bodies fall away from the ideal alignment. 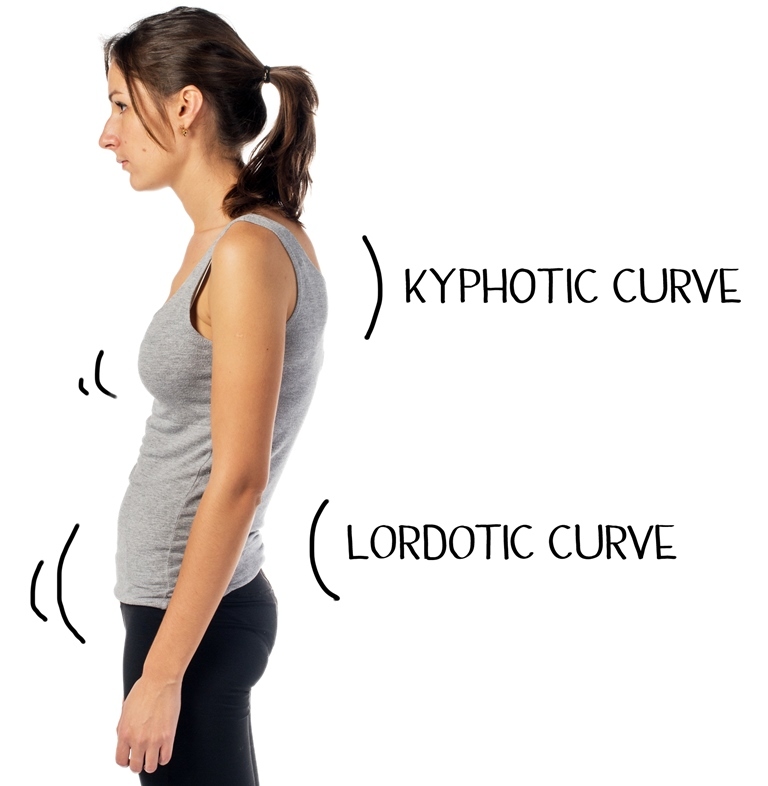 Let’s get into our posture type for today’s post, posture B: Kyphotic-lordotic. This is probably one of the most common posture types seen in people today. and effects the upper and lower spine. Looking at the upper body first. The head and chin poke forward, the shoulders and mid-back are rounded. Technology, although it is an asset to our society unfortunately can be detrimental to our posture. Working on one’s computer and typing on the cell phone over time exacerbate the Kyphosis posture. Of course, you cannot simply just stop using your computer or cell phone but you can put steps in place such as Pilates exercises to minimize any alignment issues. Pilates helps elongate the muscles to aid in lengthening the spine from a place of strength. In Pilates, you lengthen the body from the powerhouse also known as “the core” in todays terminology. A focus on initiating all movements from the powerhouse will strengthen the entire corset of the body which will in turn assist the whole body in movement. Pilates can also focus on specific exercises to help alignment. In the example of kyphosis, exercises that involve extending, lengthening the spine and opening up the chest would be indicated. For example, swan prep and seated spine twist. A great prop called the Magic Circle in Pilates can be used effectively to strengthen one’s deep neck flexors, helping to minimize the chin poking of this posture. Now let’s have a look at the lower part of the body. This is called Lordosis and depending on the person, a deep arch in the lower back is seen. The hips and lower back are tight in this position. Our 21st century seated posture results in a group of muscles called the hip flexors becoming short and tight. How can Pilates help? Well firstly simply strengthening the powerhouse will immediately take strain off the lower back. The abdominal muscles tend to be weak and need to be strengthened. The Pilates powerhouse includes the gluteal muscles. The glutes, also known as your bottom are integral to hip integrity. Some Pilates exercises that would assist, pelvic curls, shoulder bridge with single leg lifts and the spine stretch to really open up the lower back. Other exercises to focus on are hip stabilizers such as side lying leg lifts, clam and star prep. Strengthening the pelvic girdle, improving spinal articulation and powerhouse will help improve the Lordosis in the back. In summary Pilates is ideal as a form of training to improve the kyphosis lordosis posture. We all know that exercising is good for us but sometimes lower back discomfort and pain discourage many from trying. With this posture being so prevalent, and the possible discomfort associated with it in movement, Pilates offers a gentle but very effective method of training. Plus as you may have already read in our previous articles the studio equipment assists greatly. So book yourself into your nearest studio and invest in your health.